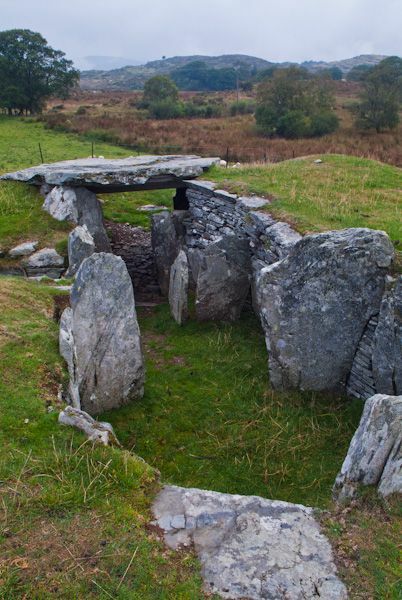 A Neolithic burial chamber, built sometime around 2000 BCE. There are two false entrances, but the real tomb is entered from the south, where an inner passage leads to a cross passage leading to two circular burial chambers located on an east/west axis. The false entries may have been created not to deceive grave robbers, as happened in ancient Egypt, but simply to create places for ceremonial observances. 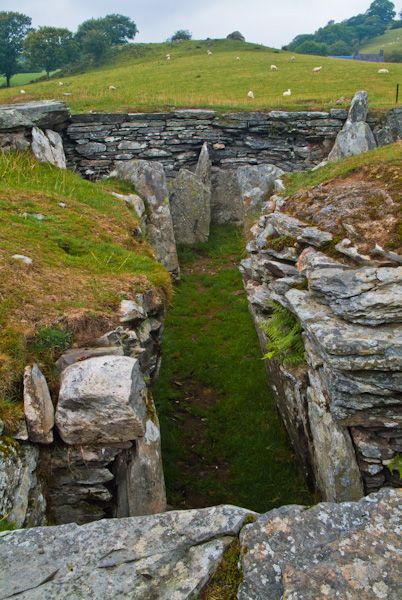 Some of the original stone walls remain in the lower sections of the eastern burial chambers. 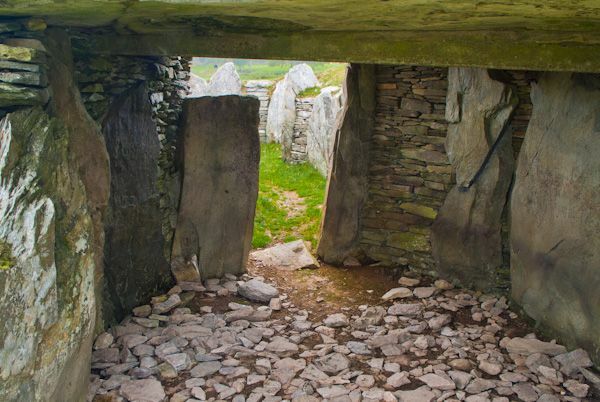 Only one of the original capstones remain, however, and the main entrance was created in the 19th century when the burial chamber was used to stable horses. Excavations have turned up bits of late Neolithic pottery of the type known as Beaker ware, and pieces of bone were discovered in the passages. 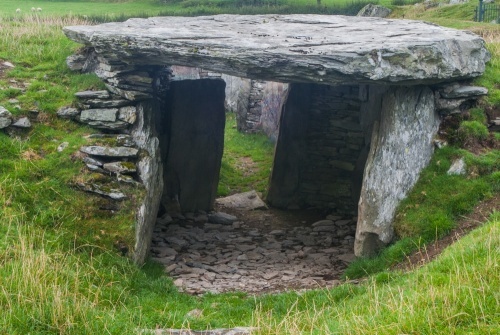 The chamber would originally have been covered in stones and probably topped with earth. 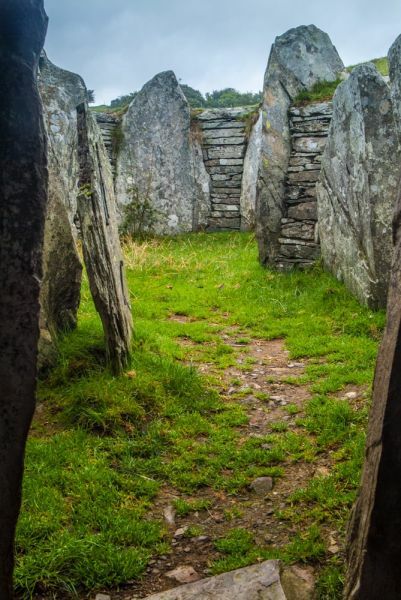 The original extent of the stone mound is marked by lines of stones on the earth. There are wonderful views from Capel Garmon westward to the peaks of Snowdonia. Location: Off a minor road at Ty'n y Coed, just south of Capel Garmon village. Access via a footpath. A charming, ground floor stone cottage, on the owner's 50-acre farm in the Snowdonia National Park, near Betws-y-Coed, with two bedrooms accommodating four people. A delightful, romantic stone cottage in the Snowdonia National Park, set near Betws-y-Coed on the owner's 50-acre farm, with one double bedroom accommodating two people.